Dr Bernard Mole, Plastic Surgeon, France, is a founding member of the French Society of Plastic and Aesthetic Surgeons (SOFCEP). Former Paris Hospitals' intern and later head of the Faculty Clinic, he has conducted research and fellowships on several topics such as clinical applications for the human epidermis growing. 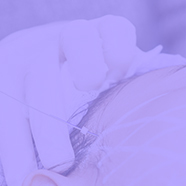 A precursor practitioner, he's the main IMCAS Paris Course Coordinator regarding Plastic Surgery teaching materials for the beginning. As of today, he's a renowned physician, specialized in plastic and reconstructive surgery. He is the past National Secretary for France of the International Society of Aesthetic Plastic Surgery (ISAPS). He divides his time between his local practice and his humanitarian activities. Should we believe in tissular induction?